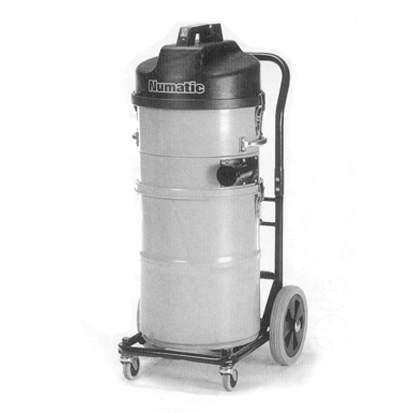 A dry only vacuum fitted with a balanced hose system and cyclonic separation kit that makes it the ideal machine for the removal of fine dust such as cement, plaster or welding. Supplied with stainless steel wands and wide 16" floor tool. NOTE: This machine is NOT suitable for the removal of hazardous substances and is suitable for dry use only. 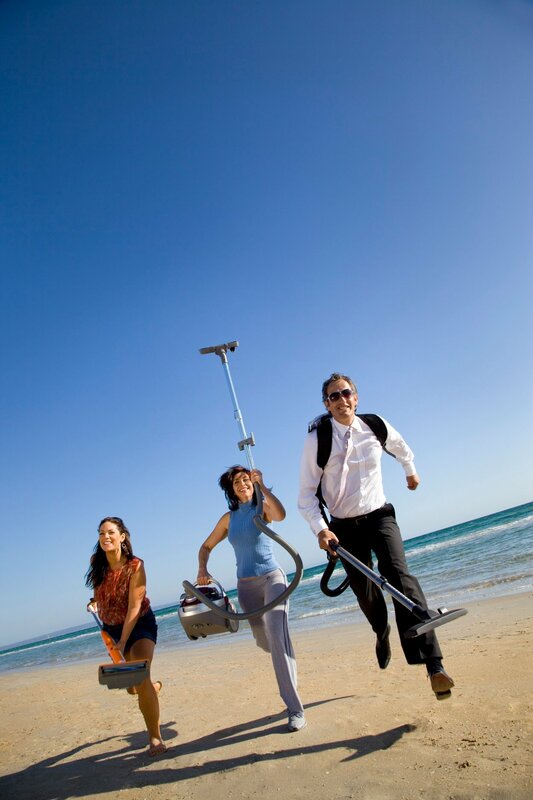 Designed to meet the most demanding of fine dust removal. Capable of picking up the fine dust that normally blinds and blocks the filter of a standard vacuum. Mounted on its own frame for easy manoeuvrability and emptying. The vacuum works on a system known as a "balanced hose" this means that there is an opening at the base of the recovery chamber which has a hose connected to the outside of this drum. The hose runs up the outside of the drum and connects to the top chamber. The recovery chamber houses a wire frame with the filter and filter bag sitting inside it. By doing this the filter bag and filter trap all of the fine particals and allows air to pass though the bag and escape up the balanced hose to the top chamber where the motor is fed with clean air.